Dated 05.04.2018 : Reserve Bank of India today prohibited all the entities like Banks , NBFCs , Payment Banks , wallets regulated by them to deal with or provide any service related to transactions involving Bitcoins and other cryptocurrencies . The ban comes in to effect with immediate effect . All the entities which are providing such facilities have to exit in time bound manner . RBI will issue a circular shortly . The ban virtually ends any dealing of any cryptocurrency in India as no Indian will be able to buy / sell , make payment or receive payment In India . However RBI has constituted a internal committee to study feasibility of introduction of its own digital currency . the committee is expected to give its report before June 2018 . Subsequently RBI has issued Notification on 06.04.2018 , CLICK HERE to read the notification . Dated 18.03.2018 : It is reported that HDFC Bank , India have informed their customers that they would be no longer able to do the transactions involving cryptocurrencies including Bitcoins using HDFC Bank debit or credit cards . Already in February 2018 Citibank India had stopped allowing its cards for purchase of bitcoins and other cryptocurrencies . In the February 2018 itself , the country's central banker Reserve Bank of India had also warned bank customers in India against investing in Bitcoins and other cryptocurrencies . Dated 02.03.2018 : Cryptocurrency Exchanges BTCXindia and ethexIndia are closing down its operations in India . In its website , BTCXindia dealing in Ripples ( XRP ) has asked its customers not to make any Indian Rupee or Ripple ( XRP ) deposits with effect from 01.03.2018 . If any remittance is made , it would be automatically returned to the sender bank . Further it has asked all its customers to withdraw all the deposits both in Indian rupee as well as in Ripple ( XRP ) before 4th March , 2018 . It is reported that the reason for closure of operations is the budget speech of Mr Arun Jaitley wherein he had advised the intention of government was to outlaw the cryptocurrencies . He had also announced the intention of government to bring suitable amendment to the existing laws to this effect . Dated 13.02.2018 : Today Citibank , India informed its customers that they would be no longer able to do the transactions involving cryptocurrencies including Bitcoins using Citibank debit or credit cards . Citibank has decided not to permit usage of its debit or credit cards for purchase of Bitcoins and other cryptocurrencies , given concerns of potential economic , operational , legal , customer protection and security related risks associated with such transactions. Already Reserve Bank of India has warned bank customers in India against investing in Bitcoins and other cryptocurrencies . Dated 08.02.2018 : Newspapers reported that Mr Jim Yong Kim , World Bank Group president told in an event that cryptocurrencies like Bitcoins are ponzi schemes .However world bank is looking in to the blockchain technology which uses distributed ledgers to facilitate secured trading of digital assets . Earlier in the week Mr Agustin Carstens , chief of Bank of International Systems ( BIS ) had asked central banks to rein in cryptocurrencies as they can cause disturbances to the existing financial system . In the mean time , Bitcoin is trading at around USD 8,000 after falling from life time high of around USD 19,300 in recent weeks . Dated 30.12.2017 : Ministry of Finance , Government of India has issued warning people against usage of virtual currencies including Bitcoins , as they are neither currencies nor coins . The statement says virtual currencies are not legal tenders and are not authorized by either Government of India or Reserve Bank of India . The notification lists various risks associated with Bitcoins like volatility , hacking , loss of passwords etc. It compares the operation of Bitcoins to Ponzi schemes and advises the citizens to avoid Bitcoins as they would be participating in BITCOINS at their own risks . Synopsis : A newspaper blurb says " Big B made USD 100 Million in Bitcoins and fortune was wiped out in short period " . Newspapers have recently reported huge increase in number of Indians dealing in Bitcoins in line with world trend . Due to multi fold rise of its market price in recent times , Bitcoin holders have made fortunes especially in 2017 . Bitcoin is a virtual currency , non-official and without control or regulation of any central bank or governments . Only Japan has recognized it as a regular currency . It is a new experimental currency and medium of exchange without any official sanctity . Its prices are volatile and treated as an HIGH RISK class of asset . Though Bitcoin is not made illegal in India , Reserve Bank of India has warned Indian citizens against its usage . While some call Bitcoin as a world currency in making , some others treat just as a ponzi scheme . In our opinion , one should not trade / hold Bitcoins unless he or she is ready for a total loss of investment , even when fortunes can be made out of it . A cryptocurrency is a digital asset designed to work as medium of exchange that uses cryptography to secure the transaction , to control creation of additional units and verify the transfer of assets . They are also called digital currencies , alternative currencies and virtual currency . Cryptography is practice and use of techniques to secure communications . Bitcoin is a cryptocurrency and worldwide payment system . It is the first decentralized digital currency without the control of any central bank or any single administrator . Transactions under Bitcoin take places directly between the users without an intermediary using cryptography and the transactions are recorded in a public distributed ledger called Blockchain . The payments can be made by any one to any one worldwide . Bitcoin is created as a reward for process called "Mining " . Mining is a record keeping service done through computer processing power . Bitcoin can be exchanged with other currencies , service , goods . It is reported that more than 100,000 merchants and vendors are accepting bitcoin for payment . The bitcoin system seeks no permission from any central bank or any government and is used worldover . It requires no ID to use . It can be used 24x7 365 days and transactions are fast and irreversible . Total of 21 million bitcoins will ever exist as per the system . Bitcoins are supposed to be safe and secure if you keep your private key of bitcoin safe and hidden . Bitcoin was invented in 2009 by an unknown person or group of people called Satoshi Nakamoto and distributed as an open-source software . An unit of currency under Bitcoin system is also called a BITCOIN . The tickers in currency trading systems use code of XBT and ticker symbol of BTC . Smaller units of Bitcoins are millibitcoins and satoshi . Millibitcoin is 0.001 bitcoin and denoted as mBTC . Satoshi ( STC ) is smallest unit in bitcoin system with a value of 0.00000001 bitcoin . In 2017 , with differing view on Bitcoin fundamentals , Bitcoin developing groups split in to various distinct subgroups and split currency also in to various versions . The two prominent new groups are BITCOIN CASH chain and SEGWIT chain . All are having their own market price , mining network and transaction history . While Bitcoin has ticker code of BTC , Bitcoin cash has ticker code of BCH , Segwit has ticker codes of SW1, SW2 and SWG . As each one has separate developers , trading codes and values and market prices , one should be careful to know which one is being transacted . It is a software wallet stored on the hard disk of your computer . If you store bitcoins in your hardware , make sure that you have a back up your wallet regularly . In case your computer crashes or gets corrupted , you may lose your wallet and all the bitcoins stored there . Desktops do not offer mobility and hence Mobile wallets have come in to existence . You carry mobile and hence you can do transaction wherever you are . Some software provide NFC (Near Field Communication ) which help you to receive Bitcoins without entering any field . However memory constraints of a mobile phone may lead to limiting use of the applications . You can install applications and various softwares are available for different types of mobiles . Now even Amazon India is selling such hard wares like Ledger Nano , Yubikey on their websites . Web based wallets keep your private keys on-line on a computer controlled by others and connected to the internet . Many such services are available on line and some of them link your desk top wallet or mobile wallet to them so that they serve as back up for other wallets . The advantage is you can transact on any device , but with a risk of your wallet in sombody else's hand . Paper wallets are the wallets you can print on a paper from your computer . There are various service providers who help you to generate your paper wallet on their site . For example Bitaddress.org . You can generate private keys on the site and the site will provide 2 QR codes for your wallets one for receipt and the other for payment . Then select paper wallet tab and select the number of wallets required and print the wallet generated . Bitcoin can be bought through an Exchange , through other sellers or by accepting them in exchange for services rendered or goods sold . Then Bitcoins will be stored in a Bitcoin wallet from where you can make payment of Bitcoins to others . Before buying a Bitcoin , you have to have a Bitcoin wallet . In India to have a wallet and trade in an Exchange , one is asked to provide following to the exchanges . HOW BITCOINS ARE USED ? 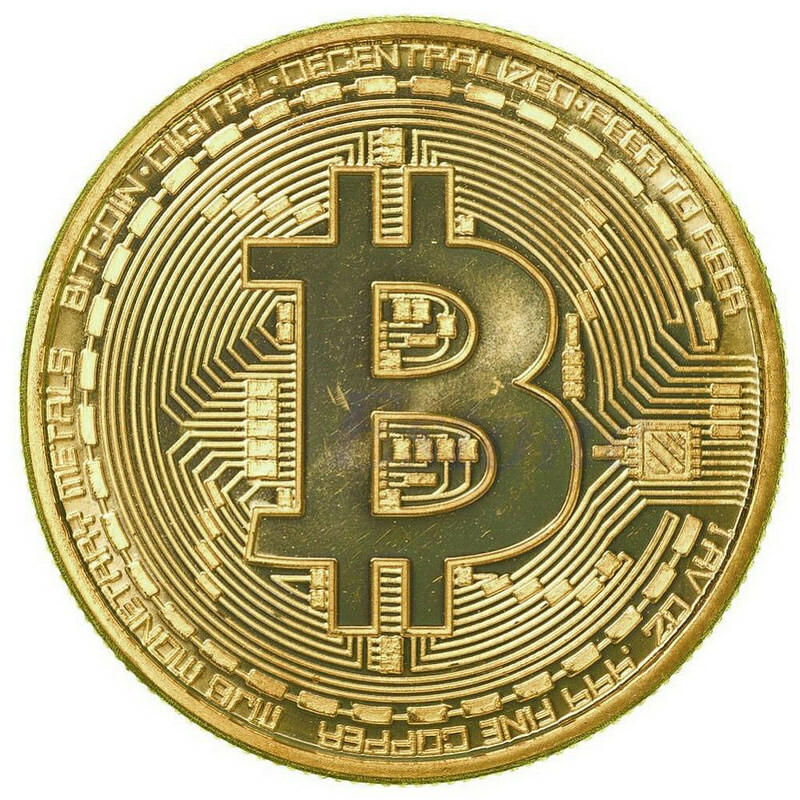 Bitcoin is used just like a foreign currency to hold , to make payment to others accepting them for the services rendered or goods sold and also as an investment . It is reported that more than 100,000 entities world over are accepting Bitcoins and some prominent companies that are included are Microsoft , Subway , Wordpress , Reddit , Bloomberg etc . Only Japan has recognized as an recognized money . Currencies issued by central banks normally backed by reserves with implied lawful guarantee of respective governments . It also would be administered by central banks with sets of laws , rules and regulations . In case of Bitcoins , none of these parameters are met with . Actually Bitcoins have neither administrators nor reserves to back them up . The value of the currency is as discovered by the market day in and day out . The value so obtained from market are volatile and prone to quick appreciation and depreciation . As Bitcoin holding is mostly speculative , the values change abruptly based on demand and supply , without any underlying reason . From 2010 till now prices of Bitcoin have changed from USD 0.06 per BTC in July 2010 to USD 14,192 now and the rise is astronomical 236,533 % . In between Bitcoins had reached a high of USD 19, 000 . The rise is not uniform through the period and are volatile through out . In 2011 , Bitcoin had reached USD 250 from USD 0.30 levels to come back to USD 2 levels . In 2013 , prices rose to USD 250 before falling to USD 50 . In 2017 , prices have fluctuated from USD900 to USD 19,000 . In last one week , Bitcoins have retreated from USD 18,000 levels to USD 14,000 levels . Bitcoin is a nascent form of currency and still under experimental stage . There are no regulators for the currency . Governments have not given sanctions for trading or holding them . Legal sanctity in most of the countries are yet to be tested . Prices are volatile and prone to huge losses . We are not sure of quality , reliability or financial ability of exchanges and the wallet providers . In case of fraud or theft of bitcoins , it is very difficult to recover , almost no chance of its recovery . Bitcoins are issued without backup of any asset . Hence in the absence of market , total money invested will be lost . Some people compare it to a ponzi scheme or sophisticated fraud . They are holders of the Bitcoin we have and in the computer systems provided by third parties . Key to the wallets is Private keys provided at the start of the account . If we lose those keys , we have no recourse to account and entire amount stored may be lost . Further damage to computers holding wallets , loss/ theft of mobiles or losing password and such other circumstances will rob us of the Bitcoins stored . There are reports of hacking of computer systems and theft of Bitcoins from them . If any of our service providers like exchanges or wallet providers go bust or if they don't do their ethical duties , risk of losing entire investment cannot be ruled out . ​1. VCs are in digital forms and stored in digital wallets . They are prone to hacking , malware , loss of password etc . LOSS OF WALLET MEANS TOTAL LOSS OF ASSET . 2. Payments take place peer to peer basis without intervention of a central agency . No recourse may be available for disputes between the parties . 3. No asset back up for Bitcoin and market prices are speculative . Prices are volatile and volatility may lead to huge losses . 4. Legal status of exchange platforms are not clear and users are exposed to legal and financial risks . 5 . Usage of Bitcoins from the counter party may be for illegal / illicit purpose . Hence usage may unintentionally lead to breach of Anti-money laundering provisions . Bitcoin is not the only cryptocurrency traded and there are various similar currencies available in the market . Many times same exchanges and wallet providers provide various other cryptocurrencies like Bitcoin Cash , Ethereum , Litecoin , Omisego , Qtum , Ripple , Namecoin , swiftcoin etc . Each of the currency has its own software , mining , users , exchanges and values . List of such coins is given in wikipedia , which they say incomplete . As days go on , we expect more and more softwares to join the bandwagon . However Bitcoin continues to be most popular among the lot .